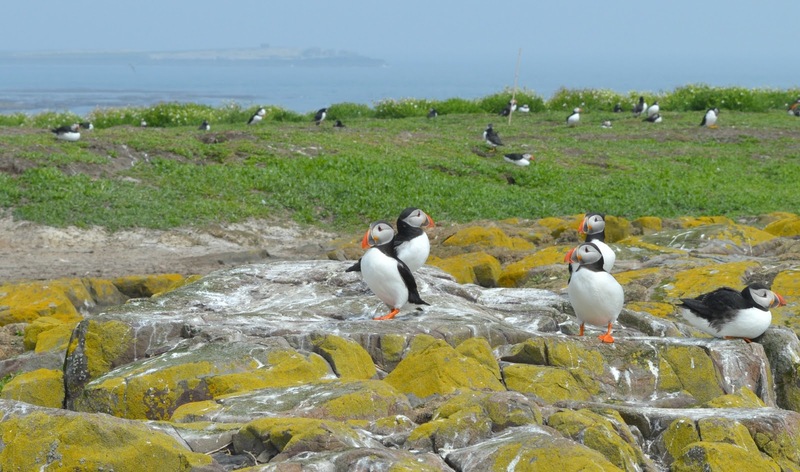 I don't think I have ever been as excited about a trip as I was after booking a boat trip to see the puffins on the Farne Islands with Serenity Boat Tours. I talked at Simon for days on end about finally getting to see a puffin and by the time the day rolled round I'm pretty sure he was fed up of hearing the word "puffin". 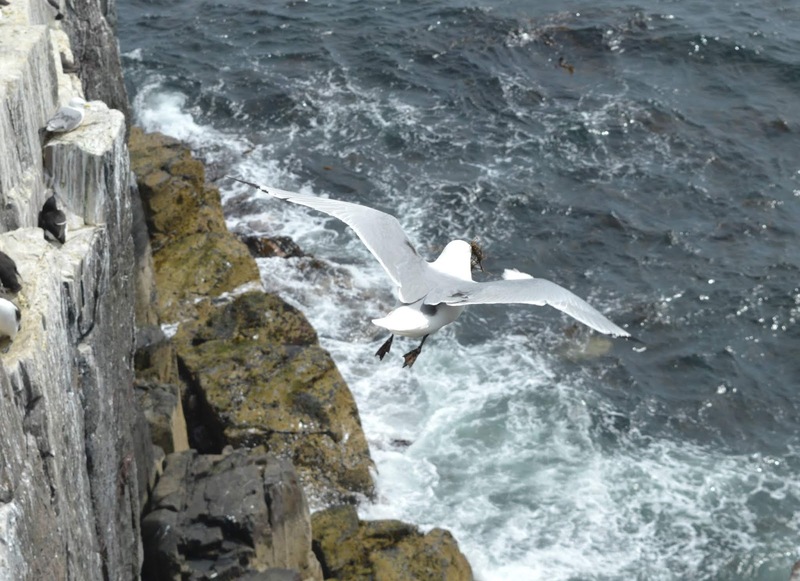 The Farne Islands are a nature lovers paradise. 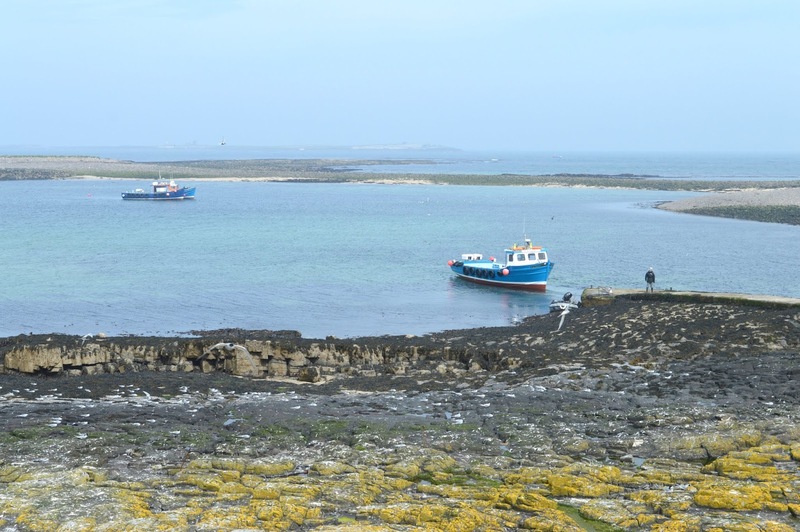 One of the few places in the UK to see nature at its best, the small cluster of islands just off the coast of Seahouses in Northumberland is home to colonies of seals and over 20 varieties of seabirds. Each time you visit you are guaranteed to see something that will truly take your breath away. 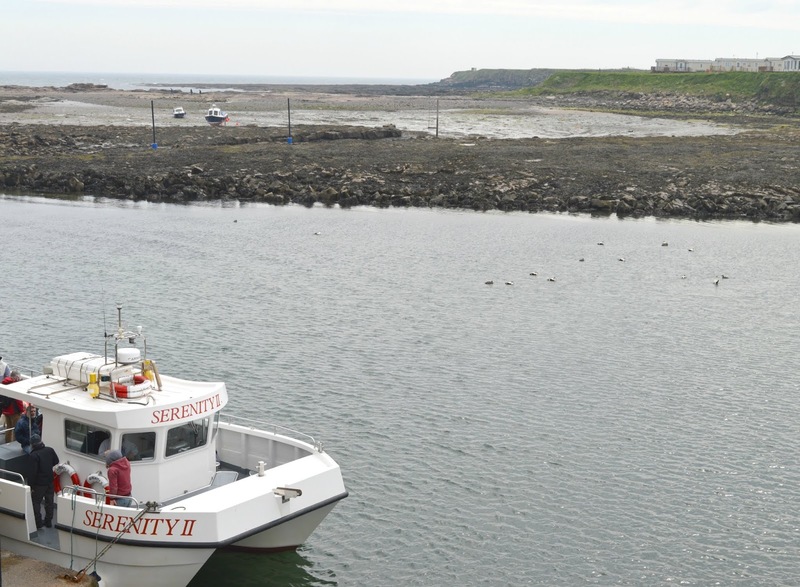 There are a few different tour companies offering trips from the harbour in Seahouses to the Farne Islands and on first glance it can seem that they all pretty much offer the same but if you're going to plan a trip I highly recommend going with Serenity Boat Tours who have a genuine knowledge and passion for the islands and really will give you a fantastic trip out and great value for your money. 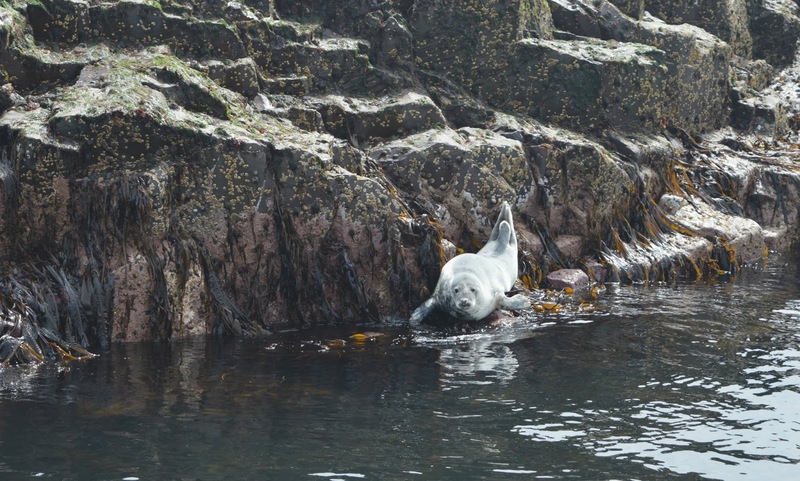 Serenity Boat Tours offer a few different trips to the Farnes Islands. We opted for the Inner Farne Tour (£18.00 for adults, £12.00 for children and under 4s free) which gave us a tour round the islands with a landing on Inner Farne. 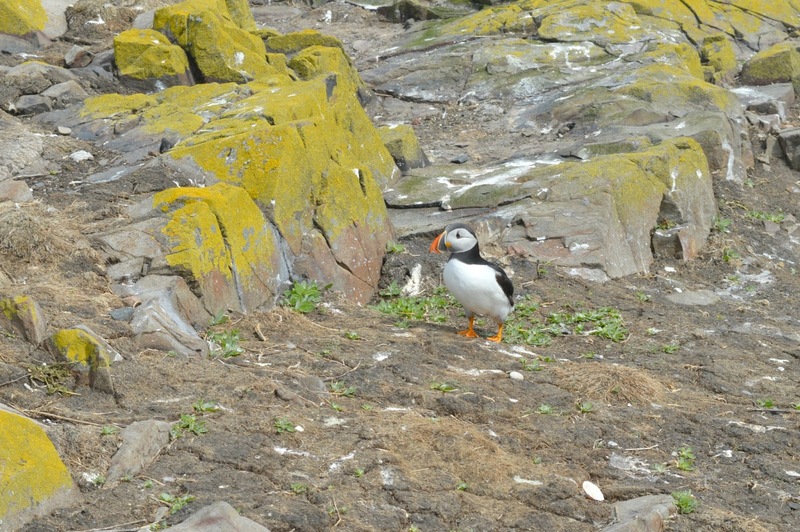 Inner Farne is the largest of the Farne Islands and the perfect place to visit if you want to see the puffins. Owned by National Trust, there's a landing fee of £7.00 per adult or £3.50 for children or if you're a member you can land for free. Our boat left Seahouses at 11:45 am and as we boarded we noticed the great mixture of people who would be joining us on our trip - families with young children, photographers with huge lenses and a handful of tourist, all ready to head out on a great adventure. There was plenty of seating for everyone and although we missed out on a prime spot round the edge of the boat we were thankful to have a seat snuggled up in the middle of the boat away from the cold wind and splashing waves. We planned our trip to the Farne Islands on a particularly hot day in the North East - with temperatures in Newcastle set to hit 20 degrees I was a little puzzled when people kept warning us to wrap up warm if we were going to head out to the Farnes. Wouldn't I look a little daft wearing my woolies in a heatwave? I have to say I'm so glad that I listened, because my t-shirt, hoodie and waterproof were needed to protect me from the chilly conditions onboard the boat. If you're planning a trip to the Farne Islands it's best to take as many clothes as you can carry - the North Sea is pretty cold! Our afternoon began with a little jaunt around the Farne Islands to see what we could spot and it wasn't long before we were surrounded by the most wonderful seabirds - flying over the boat, bobbing about in the water, swooping and diving it was hard to know which way to look as there was so much going on. The crew of the Serenity were brilliant at pointing out anything of interest and they were constantly chatting to all of the passengers sharing their knowledge and telling great stories. I wasn't sure how close we'd get to the wildlife when we were out at sea but our Captain Andrew was highly skilled at manoeuvring the boat very close to the action and also twisting the boat round at all angles to ensure that all of his passengers get a good look. We were very thankful that we didn't have to go scrabbling round the boat to get a good view as every person onboard got their turn to see the wildlife up close. The highlight for us had to be spotting a colony of seals, we had a fantastic view of them lounging about on the rocks. They have the cheekiest personalities (I'm still convinced that one was grinning and waving at me!). Just when we thought that things couldn't get any more exciting we landed on Inner Farne for an hour of bird watching and island wandering. 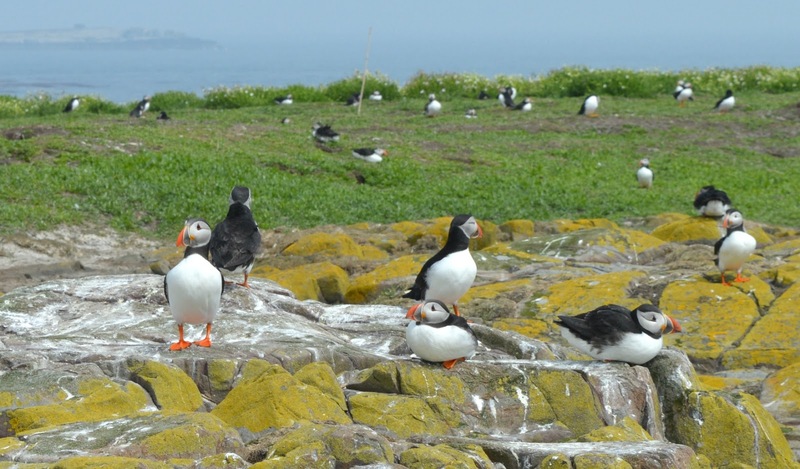 The island is home to a huge variety of birds including Fulmar, Guillermot, Kittiwake, Shag and of course Puffins. The island is protected by National Trust and there are boarded walkways across the island offering easy walking routes and great views of the birds. Be warned, this is not your usual National Trust experience so don't expect a tea room! The island is home to the wildlife and whilst you will enjoy a genuine experience watching amazing seabirds in their natural habitat, you won't be able to finish your visit with a pot of tea and a scone. If you're going to get hungry it's best you take a packed lunch! I will admit as we got off the boat I was a little nervous as I'd heard a lot of stories about aggressive Arctic terns swooping down on tourists during nesting season. Over the years they have started laying their eggs closer to the boardwalk and don't take too kindly to being disturbed so will hover over the heads of tourists, diving at them to give them little warning pecks on the head. Its worth taking a hat to protect yourself if you are visiting, but don't worry they only attack the first little bit of the boardwalk and then leave you alone to enjoy the rest of the island. If you don't like the sound of being attacked by birds I recommend visiting Inner Farne in late April/early-mid May just before the terns start nesting. We were very lucky during our visit and didn't get attacked, I think we timed it just right. 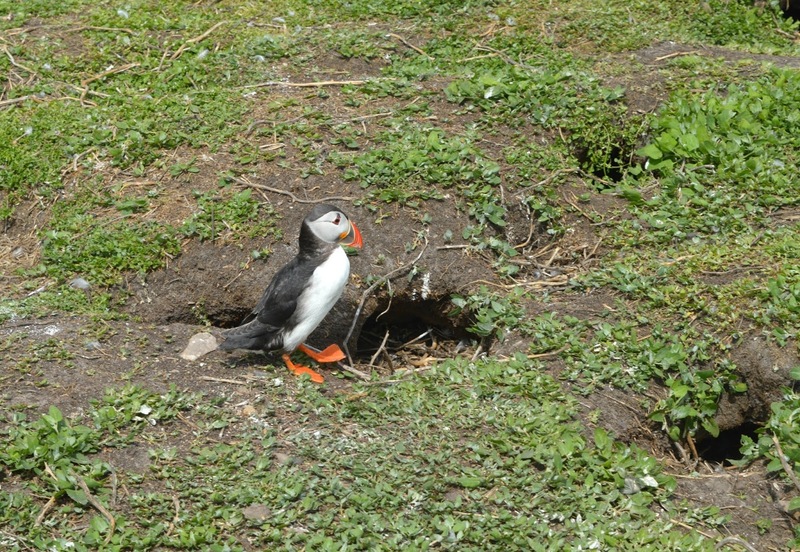 Of course, the main reason for our trip was to see the puffins! The puffins return to the Farne Islands each year at the end of April and stay until July time. With over 40,000 pairs on the islands it is the most fantastic place to go puffin watching. There are puffins everywhere on Inner Farne and they are brilliant to watch. With their beautifully coloured bills and matching feet they are stunning and they move about the island like little men dressed in tuxedos. They happily waddle about the island and don't seem remotely fussed by visitors. 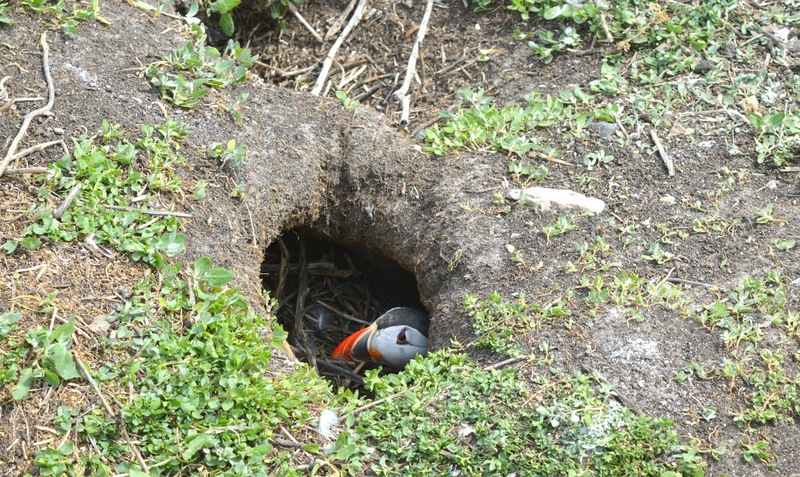 The whole island is covered in puffin burrows and we were very lucky to see one handsome chap pop into his burrow, his head just peeping out to say hi every now and again. 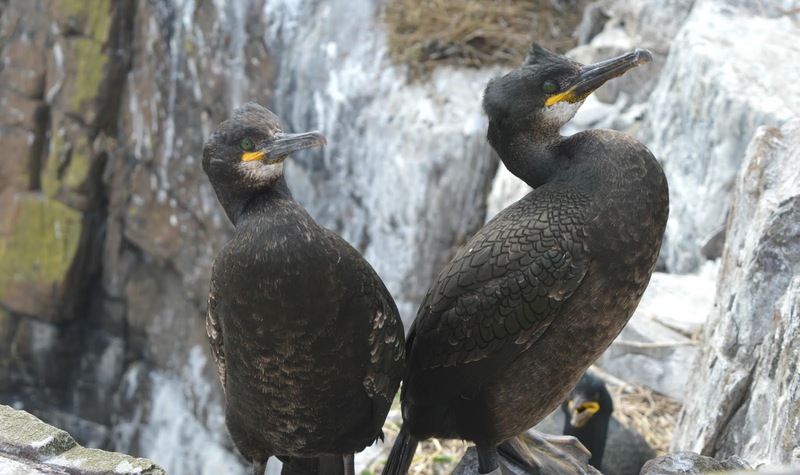 On the edge of the island there's a cliff face that is perfect for bird watching, we saw nesting Shags and plenty of Kittiwakes. It's a good idea to be prepared if you're going to spend some time on that part of the island as we saw a couple get well and truly drenched in bird poo! It seems it's not only a hat and warm clothes you need on the Farne Islands, some wet wipes and tissues are also a great idea! 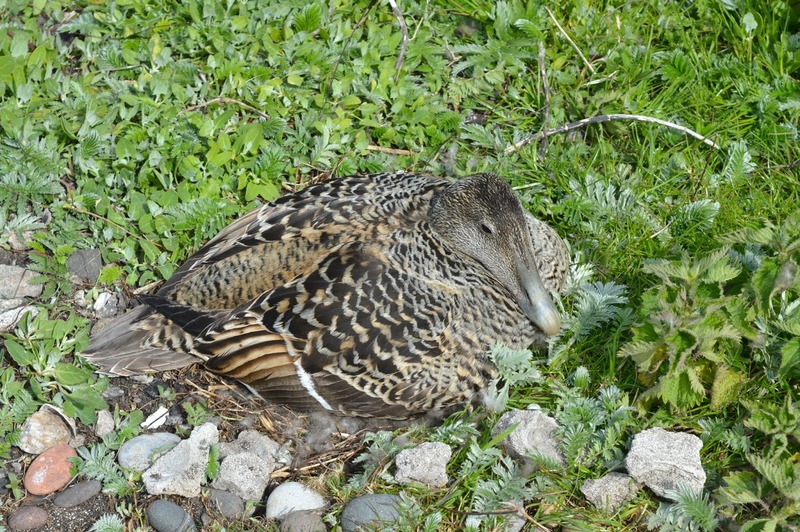 Nesting Eider Ducks sit in the grass alongside the board walk. Luckily they are far more chilled than the Arctic Terns and don't get nasty when you stroll past their nests. Before we knew it our hour on Inner Farne was up and it was time to head back to Serenity for our short journey back to Seahouses. I can't believe how fast our time went and next time I'm definitely booking their All Day Bird Trips that includes 2 hours on Staple Island and 2 hours on Inner Farne. I'm also feeling very inspired to get a much better lens for my camera! We loved our first ever trip to see the puffins on the Farne Islands and yet again I am feeling very lucky that we live in the most amazing part of the country that gives us unique opportunities like this. Thank you - my lens isn't the best so I'm really happy with what we've got - I'd love to get something a bit better and go back! There were some amazing cameras out there! I couldn't believe how cold it was out at sea considering what a warm day it was, I'm so glad people warned me to wrap up or I would have been sat there in a Summer dress! Yes, it was pretty choppy! I get sea sick on boats, however tend to find that I'm OK above deck out in the fresh air so I was fine ... but yeah it did swing about a little! I love them, especially when they walk - so comical! Definitely my favourite bird now! They are absolute cuties!